• WebRTC Compability: Control and manage via web interface, no download and install requirement. • Web Collaboration Intergration and easy to content sharing. • One Single User Interface in every devices. • Connect via internet, 3G/4G/Wifi. 2Mbps bandwidth - 1080p resolution. • No hardware or software requirement. 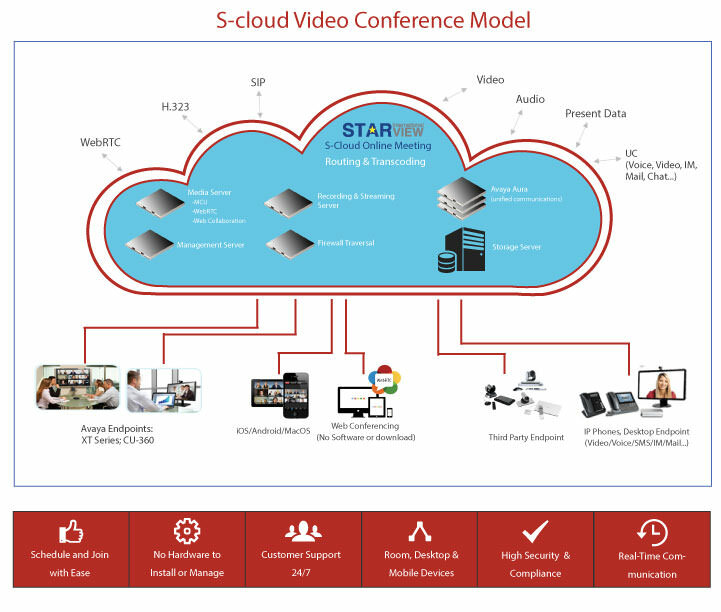 • Manage, upgrade and maintain is provided by Starview 24/7. • Easy to manage, schedule or control. • Safe web browsings with HTTPS.